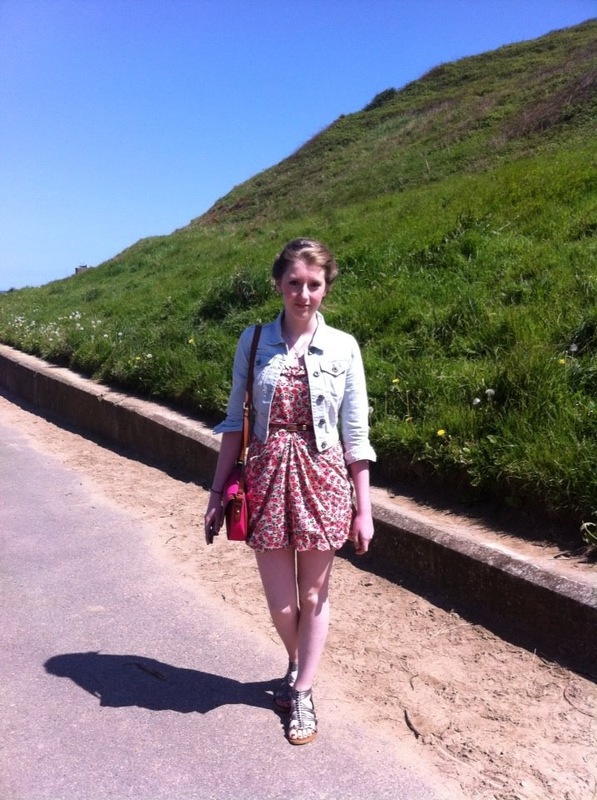 What I wore to the Seaside! 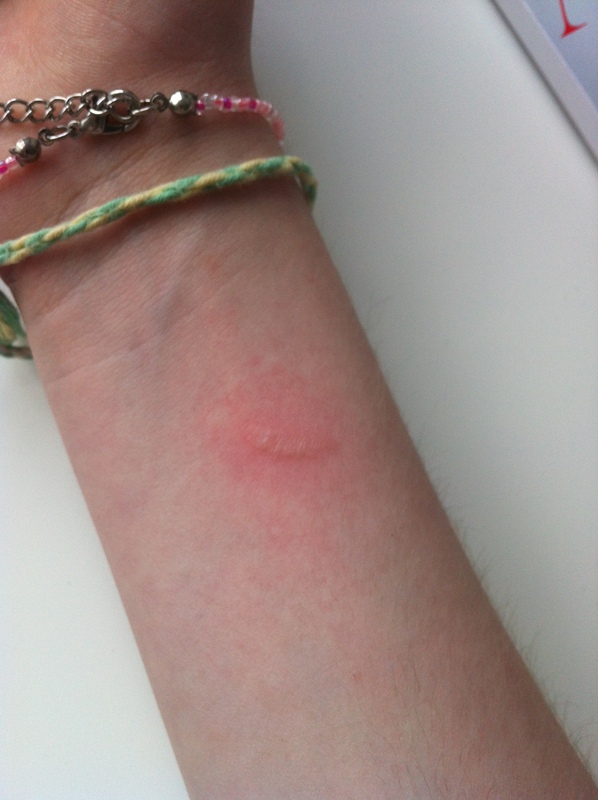 Firstly, I would like to point out that I have burnt my arm. And onward my dear friends as we take a look at what I like to wear!!! 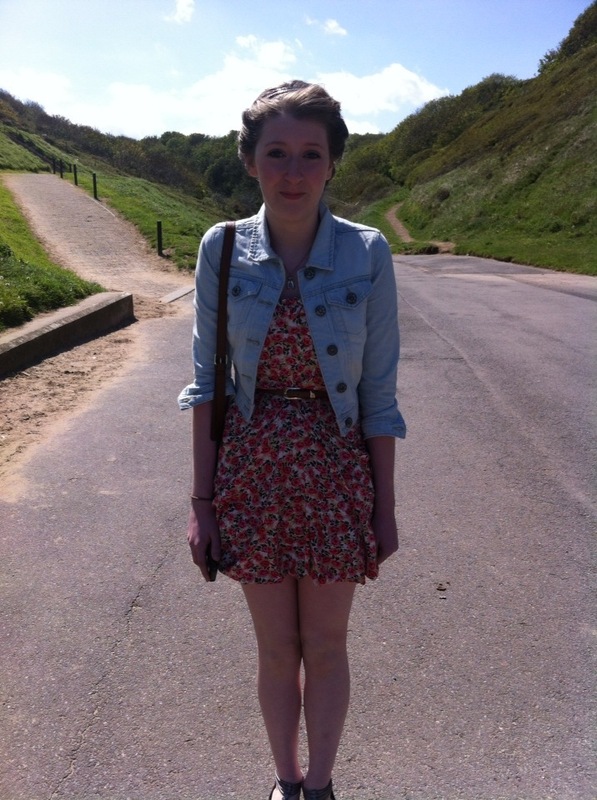 So as I told you all, I went to the Seaside yesterday and it was BLOODY FREEZING!!! This is me doing my best not to freeze to death. So yeah it was pretty cold but we had fun nonetheless! 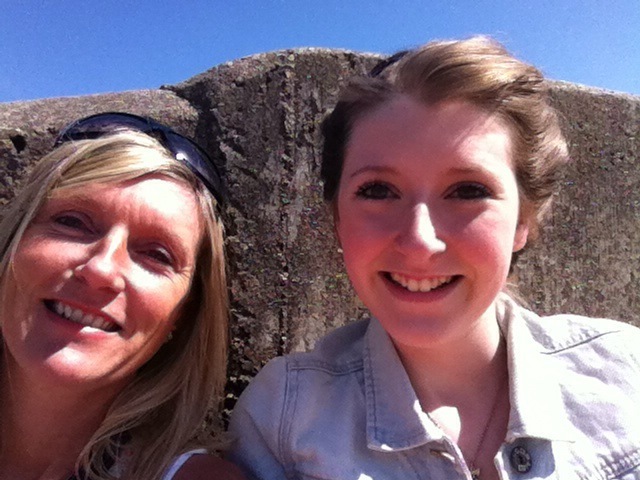 Here is me and my mum taking shelter from the wind behind a wall! And after partially freezing we had fish and chips followed by an hour in the arcade! 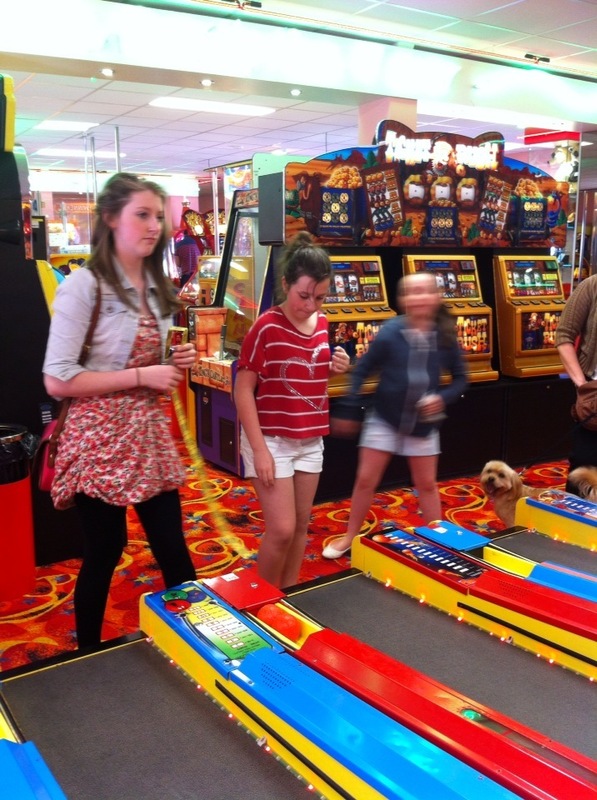 Here is my sister and I playing Skeeball! I am in Textiles and I am sneakily writing a blog! Hello again! Aren’t you lucky, two posts in less than 6 hours! I am sneakily writing another post in the graphics suite as there is no teacher here and I am bored! There are two really annoying people sat in the room with me and one of them thinks he is better than everyone because he is like a child genius with no social skills. He is literally an emotionless, shall we say, fish. Her isn’t really a fish he just has the emotions of a fish. The other is an okay person who I sit next to in History but he is still quite annoying and eats cream with sticky toffee pudding?! Who does that?! Everyone knows it has to be custard! Bye. I have to go now it’s almost time for the bell to go and then I can go home! I am currently sat in my history lesson. I have nothing to do so I thought I would write a post. I am taking after my dear friend Elly the Welly and being a badass in history! I have been emailing my friend across the classroom and our conversation has been very interesting. Me: I want to be a fish. I will live in the sea and I will not have to take any GCSE’s but I may have to take a lifesaver swimming course. Beth: You may be kidnapped by jellyfish and made to build a civilisation out of jam sandwiches and mascara. Just thought you might like to know what I get up to when I’m meant to be learning about the reform acts between 1819 and 1874! Welcome to the random world of me.